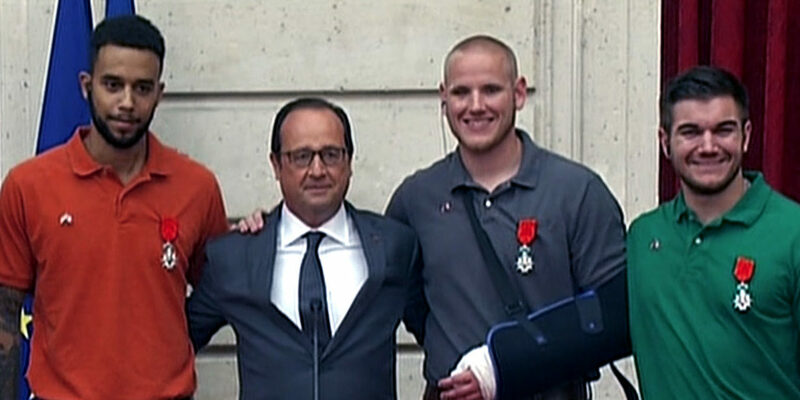 U.S. Air Force Airman First Class Spencer Stone, Oregon National Guardsman Alek Skarlatos and Anthony Sadler have been friends for more than a decade. They met at the start of junior high in Christian school and little did they know that a reunion trip to Europe in the summer of 2015 would forever change their lives. In the early August evening the world watched as the media reported how three young Americans prevented a terrorist attack on Thalys train #9364 bound for Paris. 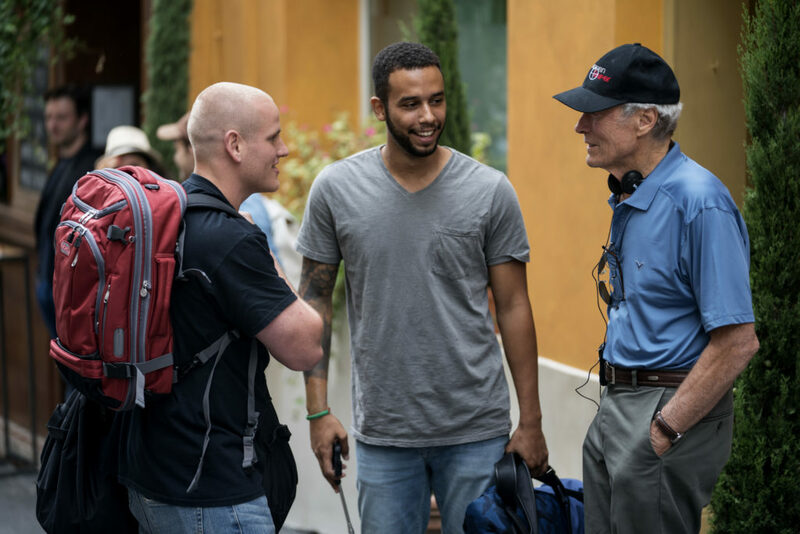 An unreal story that started long before the incident, attracted the attention of Director Clint Eastwood who not only decided to bring it to the big screen, but asked Stone, Skarlatos and Sadler to play themselves in the movie. The film follows the course of the friends’ lives, from the struggles of childhood through finding their footing in life, to the series of unlikely events leading up to the attack allowing them to save the lives of the more than 500 passengers on board. Risen sat down with the trio to talk friendship, faith and the recreating of these incredible events. 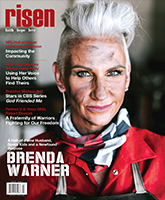 Risen Magazine: All three of you have been friends for the majority of your life. Spencer and Alek you two grew up as neighbors and met Anthony in junior high, all attending a Christian school in Sacramento. Anthony your dad is a pastor, so for the three of you what did your faith look like growing up? Anthony Sadler: I went to church every Sunday. My dad wasn’t a pastor when I was a kid, but we still went to church every Sunday. My grandparents go to the same church. I ended up going to Christian school for a year, so it was pretty strong. Just the fact, to even be at that school in the first place and to meet Alex and Spencer was pretty strong. Alek Skarlatos: I think we all grew up in religious households, and all met at a Christian school. We all still pray. We haven’t had as much time to go to church lately, but we at least still try. Spencer Stone: Yeah, I think that’s one thing, for me personally, you guys can agree if you want, but I feel like I have more of a personal relationship with God. I’m usually praying or reading my bible and I’m feeling like I’m on a pursuit. Throughout my life I felt like I was on a pursuit to journey on alone, which I know isn’t typically the way to do it. Anthony: I think it’s good for where we’re at though. We’ve all been moved out the house since we were 18. We’re 25 now so it’s been some years. I think a lot of kids that grew up in church, when they have a choice not to go anymore, they don’t. Or they stop believing or whatever it may be. So, I think it’s interesting that in our lives, we chose it. No matter what avenues we’re doing. or if we’re out partying, or whatever it may be, it’s still an element in our lives. It’s part of our character and something that’s important to us – this personal journey that we all still continue on for ourselves. RM: I’m was thrilled to see your faith showcased on-screen too. Spencer, how did your prayer life as a young boy and the relationship with God come full circle with your feelings of being catapulted towards something greater and this stirring inside that you were made for a purpose? Spencer: I would say the majority of my life, up until I was about 19 years old, I didn’t really feel like I was doing much. I didn’t feel like I had any direction. I had been praying for direction and then out of nowhere, I just had this extreme urge to feel like I needed to do something crazy with my life. So that’s what the whole para rescue thing was about, which ultimately led me exactly where I needed to go even though I didn’t get exactly what I thought I wanted. In the beginning, it eventually led me to what I needed. My EMT training was crucial to helping [save] Mark [Moogalian] on the train. I had been praying to feel useful, like to have some type of mission or something. I kind of felt like our lives weren’t supposed to be necessarily regular. There’s no real definition of regular. It’s kind of your own opinion on that. And then obviously, the train incident was just a huge confirmation for me, and all of us. Alek: Which we did not! Spencer: You know, everyone thinks we moved into First Class without tickets but we actually had seats there. We were sitting in coach because we are just regular, ordinary guys and when we helped the elderly couple on the train we just decided to sit in that cabin. Alek: And we only moved to where our actual tickets were because the Wi-Fi was bad. So we’re setting the record straight. Anthony: They ripped us in Europe because they thought we were freeloading too. We did not sneak into First Class. RM: So then, even more clearly we see the hand of God as He made certain to get you in your correct seats, in the cabin you needed to be in, by using bad wi-fi [Laughter.] So, what advice would you give others that feel like they are insignificant and could never be used by the Lord? Alek: I would just say, even in our case, we didn’t know we were destined for greatness until it happened to us. You don’t always know the path God has for you and we think we’re on the right path. Again, hindsight being 20/20, you look back and it looks like our whole life was training us for that moment. At the time, we were going through all that we had no idea. Anthony: I think anybody will be able to watch the movie and identify with some part of the film and see themselves in that journey and I think it’s important to show that we didn’t plan this. We didn’t plan a huddle and say, we’re going to get this guy now. It just happened to us. And I think people would be able to draw from that and things just happen to you. Hopefully, they’ll realize that they have a choice to make when things are happening to them and that choices lead you down a path whether its success or failures, but it’s all a part of a bigger picture. I think it’s just a good life story. It’s not an American story, or a French story, or a terrorist story. I think it’s really just a human story. RM:RM: Then your story came to the attention of Clint Eastwood at the Spike Guy’s Choice Awards in 2016 when he presented you three with the Hero Award. Not only does he agree to direct, but he asks you guys to play yourselves! In Hollywood, only God can orchestrate that! Spencer: Wow. Someone actually knows the story. Anthony: Since we were meeting with him for months and going to the office, we saw how much stuff he gets sent. They told us how it works. It goes to seven people before he even lays eyes on it, to even consider it. Alek: I think, too, that it’s kind of cool how we were talking about life leading you toward something. When we got the call for the movie, we had just written the book, we were getting out of the military and thinking, “What’s next with our lives?” The terrorist attack was over a year ago at that time. We didn’t know what was coming next and it didn’t seem like anything was coming. We thought we’d get regular jobs and live our life. And then Mr. Eastwood asks us to play ourselves in the movie. So you never know what’s going to happen next and you never know what God has in store for you. RM: It’s an incredible chain of events. How quick was the decision to work with Clint Eastwood and act for him? Anthony: I became real hesitant. I tried to talk us out of it basically. We talked that night on the phone. And I was like, “You know what guys? This just doesn’t happen. Actors play people in real life stories.” I thought, “This is where we mess it up.” This is a movie. This doesn’t happen. None of us ever considered acting before. Why would we take the risk on this picture? And then Spencer said, “You’re going to look back 20 years from now and say, ‘Oh, I could have played myself in that Clint Eastwood movie, but I said no.’” We decided yes right then and there. I couldn’t say anything to that. 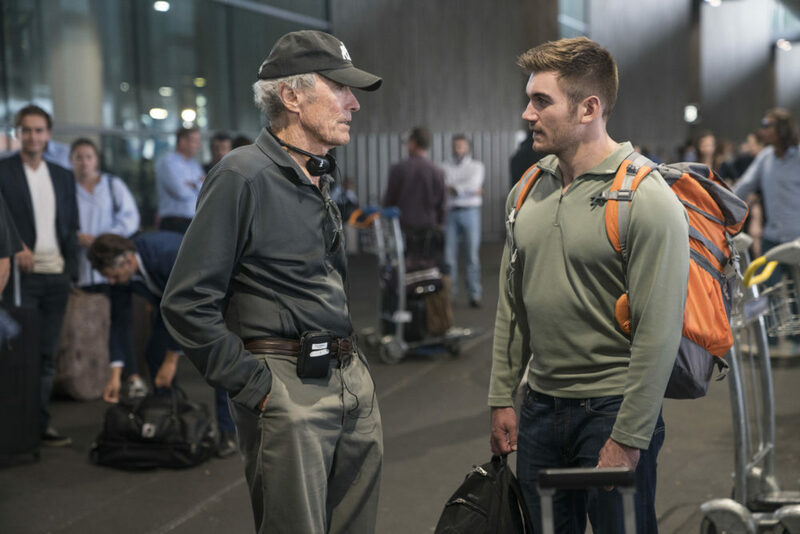 RM: Accuracy was important to Clint Eastwood so you really shot all over Europe, in many of the same locations, and on the train. Plus, I love that he also had a few of the other real survivors on board too. How did it feel to recreate this trip and incident? Alek: It was honestly, super cool and I felt like it was very necessary for us being not actors and playing ourselves in a movie because we were able to do it with each other. We were able to play off of each other and just talk naturally like we normally would and I think that comes across in the movie. If nothing else, it’s going to be very accurate to who we are as people. And then, of course, the train scene. We were very picky about how it was played because we wanted it to be extremely accurate, which Mr. Eastwood, to his credit, gave us a lot of control over that part of the movie. And then with the other people playing themselves in the movie like Mark Moogalian, Chris Harmon, some of the other train employees, and EMTs… it made it very easy to put us back in the same mindset that we were the day of. And helped to kind of feel the same things we felt during the terrorist attack. It was a great move by Mr. Eastwood. RM: Anthony, I think the big remaining question is if you could do it over again, would you take out that credit card, or wait until you could afford the trip to go? Spencer: Don’t let money stop you. Anthony: The experience was worth more than money. Spencer and I were were having a conversation, and he said, “You know what? We want to have this experience. Don’t let that hold you back.” I agreed and then that was the other miracle [laughter] I applied for a credit card and how does a broke college student that doesn’t have any credit previously, apply for a credit card and get approved with a ten-thousand-dollar limit? That doesn’t happen. RM: What next for the three of you? Alek: Well I think we’re all going try to be actors now after that experience. It was just so much fun. And we learned so much from Mr. Eastwood that we really would be kind of stupid to not at least give it a shot. You’ve got to do what you enjoy for a living and that was probably the most fun we’ve ever had on a job.